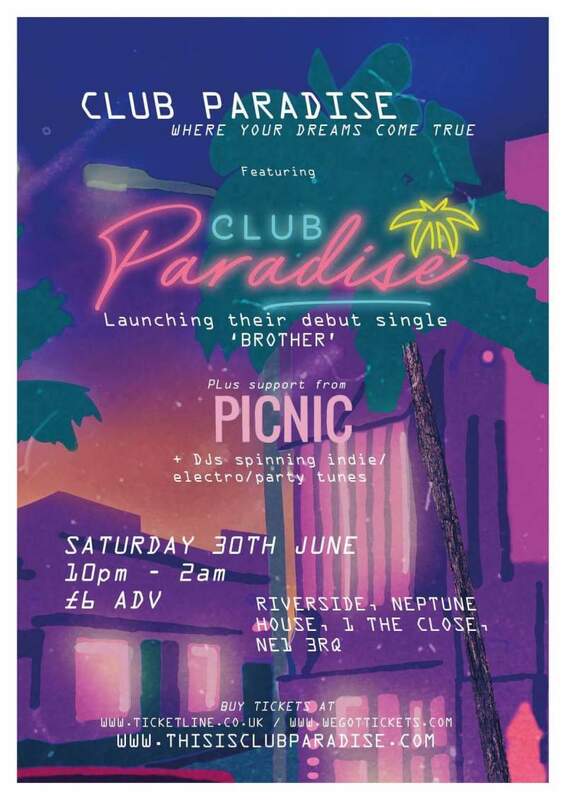 Club Paradise launch their brand new single Brother this month, and do so with a show at Newcastle’s Riverside on Saturday 30th June. The single features some glorious indie pop hooks and a real retro flavour that touches on the best of 80s pop but with a real edge. New single Brother is the exact kind of summer anthem you need, catchy as hell, impeccably produced but still with enough alt goodness to it that it stands out from the crowd. The show features support from Picnic and has an indie, electro party with DJs until late, and seems like the perfect way to release a single. Club Paradise play Riverside, Newcastle on Saturday 30th June.